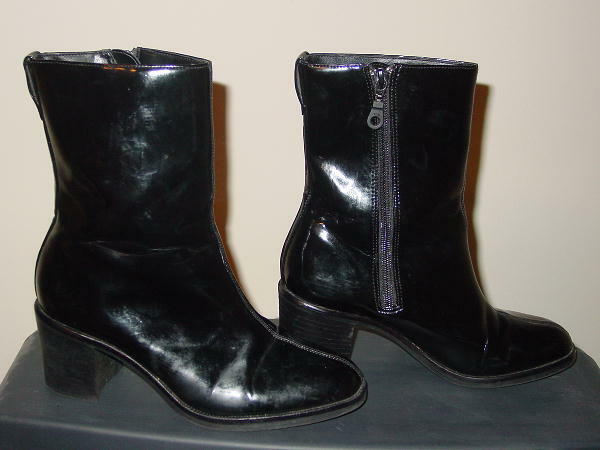 These vintage black patina short boots are by Evan-Picone and are made of manmade materials. They have rubber nonskin soles and stacked heels. The back top of the left boot has some white (looks like it's paint) marks. The boots have some scuff and water marks. 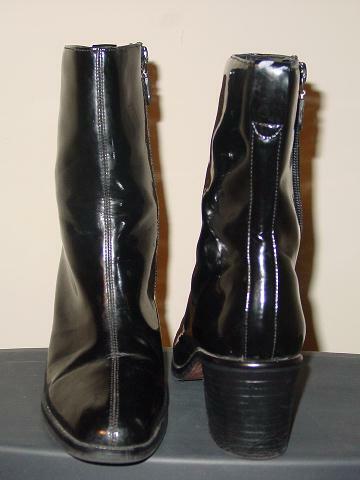 bottom of heel to top of boot 9 1/2"